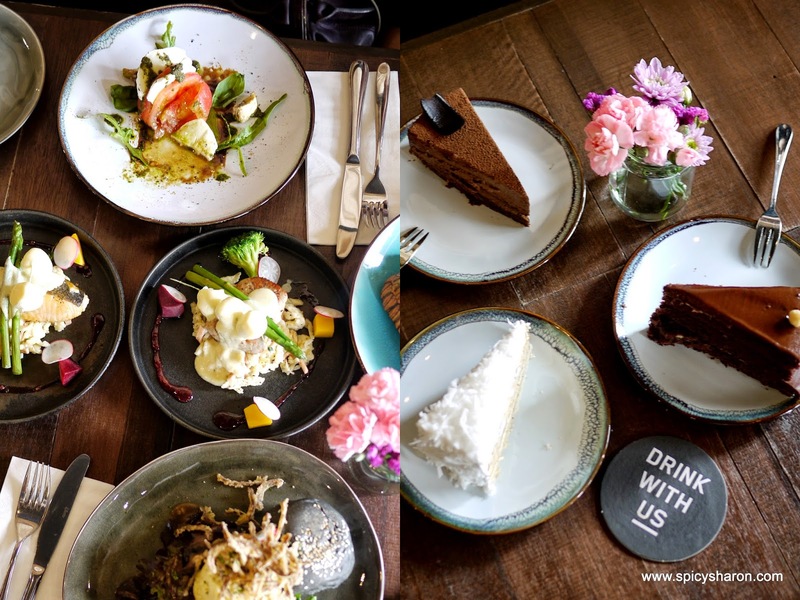 Underground Societe is barely 6 months old, run by the brothers behind the successful Coffee Societe Publika and Garage 51 Sunway. However, unlike the other two cafes, which decks up conventional cafe bites, the menu here boosts creatively crafted contemporary dishes. Prices here are also slightly steeper compared to the former. US has an interesting mix of architecture. At first sight, the restaurant spots a black exterior and with no signboard in sight, I could've easily drove pass this place unknowingly. But inside, the chic wooden furnishing speaks sophistication, plus the dangling starlights made it felt magical, somewhat. The restaurant was rather quiet that Saturday morning, so we picked the table that we wanted. We sat next to the window, with loads of natural sunlight beaming through, we knew that this was the best photography spot. But before I dive straight into the realm of food, here are some pictures we took during our meal. And you wouldn't want to miss the video at the end of the page. Scroll down! 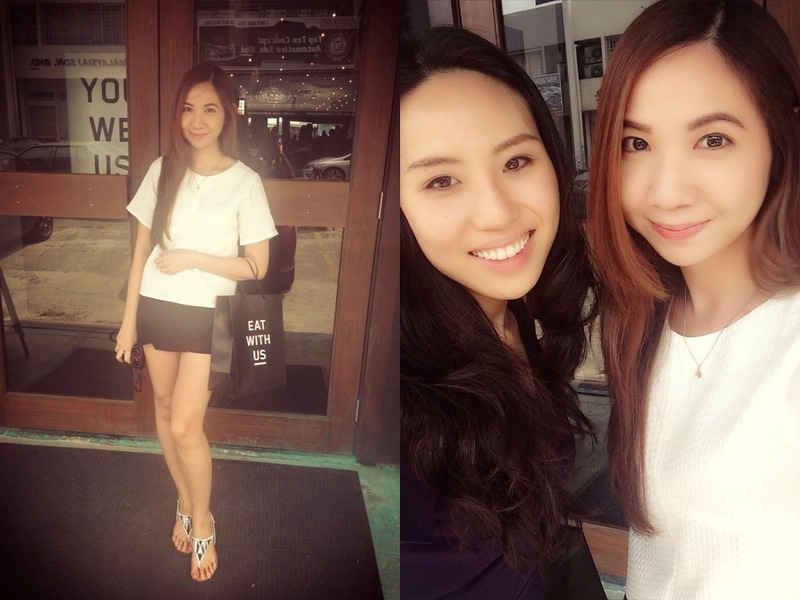 "Underground Societe | Say Hi To The Camera"
Enough of the hunger teasers - let us now move on to the food. Coffee-in-a-cup is not the norm here. Do order something that you've never had before! The texture of this roasted highland pumpkin soup reminded me of soft boil eggs - goey and thick. This tasted rich, with a hint of spiciness, enough to tickle the taste buds. Smoked Duck with Couscous. Rm20. Smoked duck! I'm sold! Couscous topped with a thick cut of smoked duck, kitchen-made orange marmalade and raisin. A tweak: the raisins - bit too much, it could do better without. Going around the plate - prawn and caviar, feta cheese, mashed eggs and pineapple salsa, neatly arranged on avocado shells. My favorite - feta cheese and avocado, those were creamy and delectable. An interesting combination - juicy peeled tomato, sliced fresh mozzarella, drizzled with what I thought tasted like basil vinaigrette. Frankly, this was not my fancy, but do order if you're a fan of tomatoes or cheese. An unusual order at a cafe - soaked oat groats (similar to overnight oats) with julienne applies, strawberries, apple compote and honey, that gave a sweet and seemingly healthier finish. Now, where should I start? Juicy Australian beef tenderloin or the German spaetzle (think - tiny pasta) weaved with chicken ham underneath? On top, thyme-boiled quail eggs and asparagus, drizzled in hollandaise sauce. Like the former, there were similar elements on this plate but let me tell you this - the grilled salmon was perfect - moist, lightly charred and nicely flaked. Easily one of the favorites of the table. Scrambled Eggs, Steak Tenderloin with Underground Bun. Rm24. Deliciously grilled tenderloin minute steak that tasted juicy and flavorsome. Opt for either scrambled eggs or a fried egg and the deep fried onion shreds on top were clear winners too! Definitely one of my top picks. Where are the lobsters? Baby lobsters perhaps. Only order if you're a fan of fancy-pancy eggs benedict. Nutella Chocolate Cake (Rm12). Chocolate Cake (Rm12). Banana Cake (Rm12). 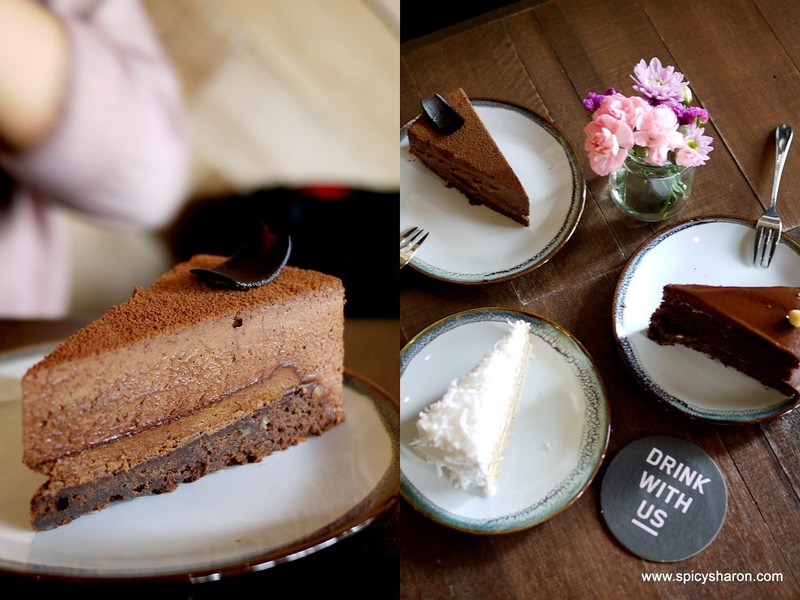 My top pick - Nutella chocolate cake. This is it. The gigantic and impressive dessert that made everyone gawked. 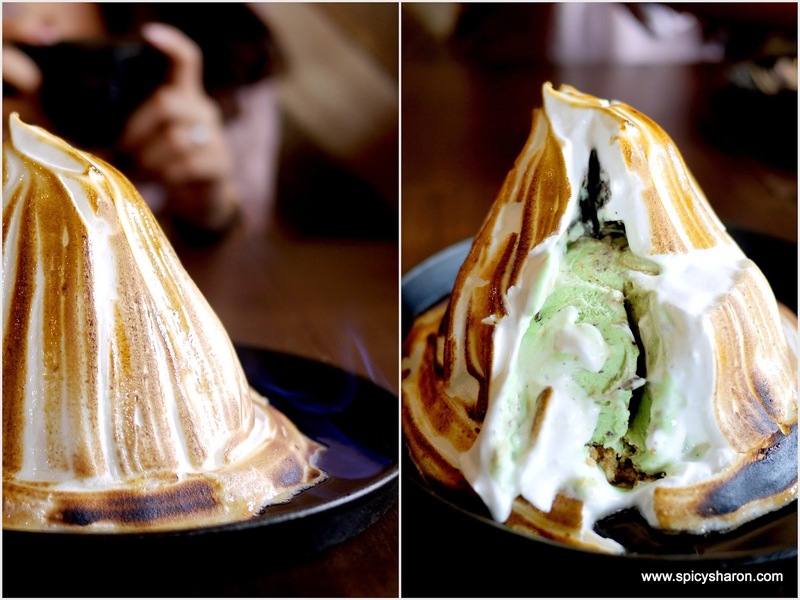 A mountain-like meringue with refreshing mint chocolate chip in the middle, on a crumbly biscuit base. For me, this felt like a compulsory order here, meant to be shared of course. What I think would work in favor of the masses - thin the meringue walls and thicken the biscuit base please! Watch the video of it being flamed here. "Underground Societe | Underground Grenade"
I have always enjoyed the sight of a table laden full of food. Don't you too? "Underground Societe | Table of Happiness"
Overall Rating: 7.5/10. Today's feast felt great. I have to give them this - creativity with a hint of sophistication. Although I have to add that one of the dangerous things of being ambitious with fusion offerings - the balance of flavors and textures. It would either clash or complement. Most of the dishes I sampled today, complemented each other. That said, some could've been better. I, for one, love to be surprised with elements that I'd never thought would work well together, but most importantly, do not confuse the masses. The appetizers that we had was great for sharing and the Grilled Atlantic Salmon as well as the Underground Burger, were some of my favorites of the meal. Also, the Underground Grenade is the dessert that everyone should order here. I would definitely be back to try out their dinner menu (if its not already obvious, today's posting is on their breakfast menu, from 11am - 6pm). On that note, this is also a rare cafe in town that opens till pass midnight. They close at 2am.